It is officially summer which means it is officially hot weather. While I may complain sometimes about the heat I would take it anytime over the cold, after all I was born in a country that has summer year round. I tend to entertain more in the summer; there something about the warm weather that makes brings us together with friends and family. If you’ve been reading my blog for a while then you should know by now that I’m all about simplicity. I don’t believe in making a fuss when entertaining and keeping it simple because there’s nothing worst than being too exhausted to hang with your guests. I keep the menu simple and always create a signature punch for the party. 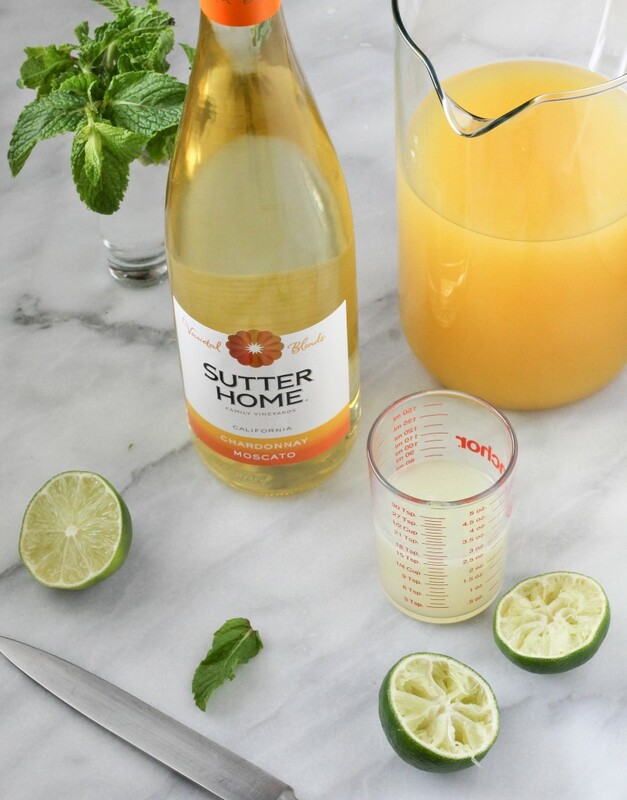 A couple of your favorite fruit juices, a bottle of wine and maybe lemon-lime soda to top it all off is usually my go to formula for a good summer punch. 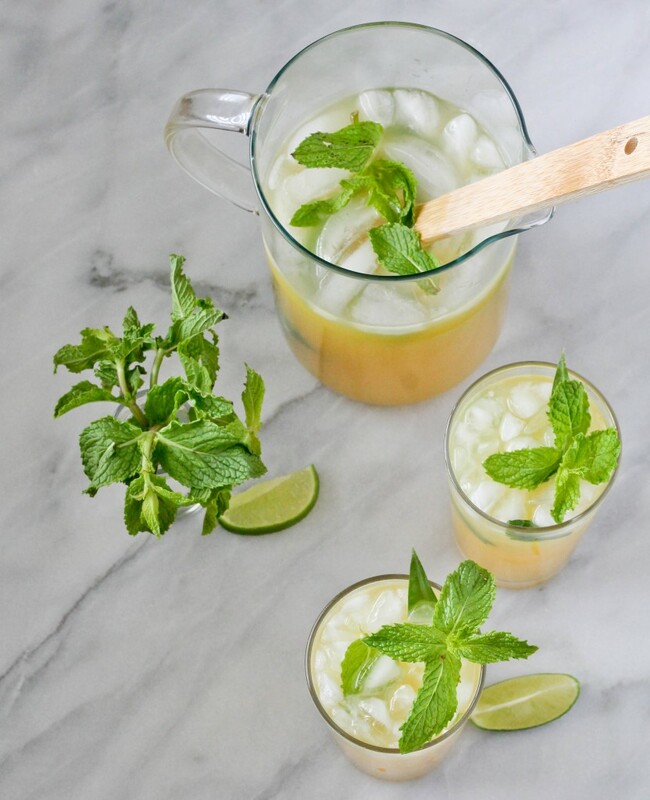 I created a pineapple mint wine punch using a Moscato Chardonnay blend that’s perfect for any summer get together, whether it’s a backyard BBQ, girl’s night in or game night. 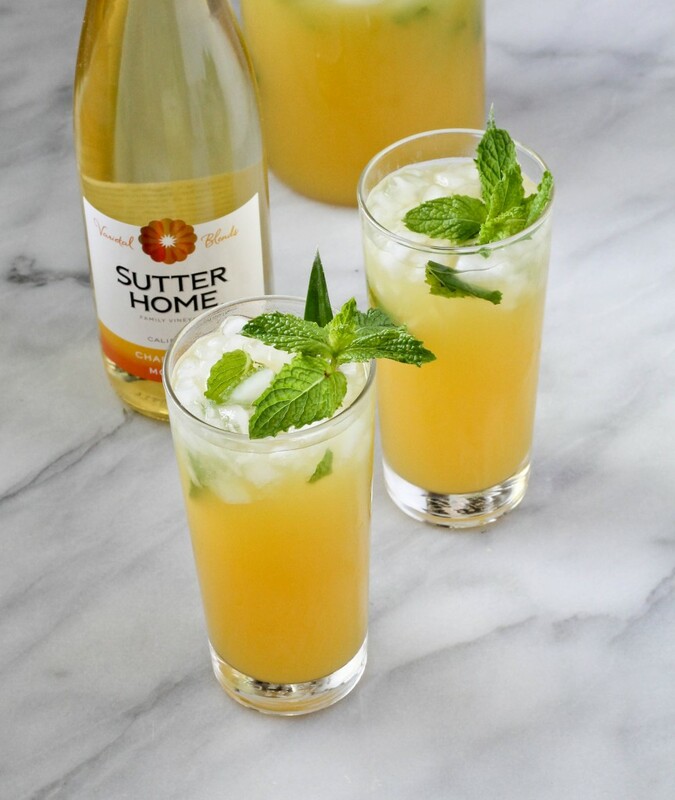 It’s light, refreshing and light on the pockets since Sutter Home wines are very affordable. 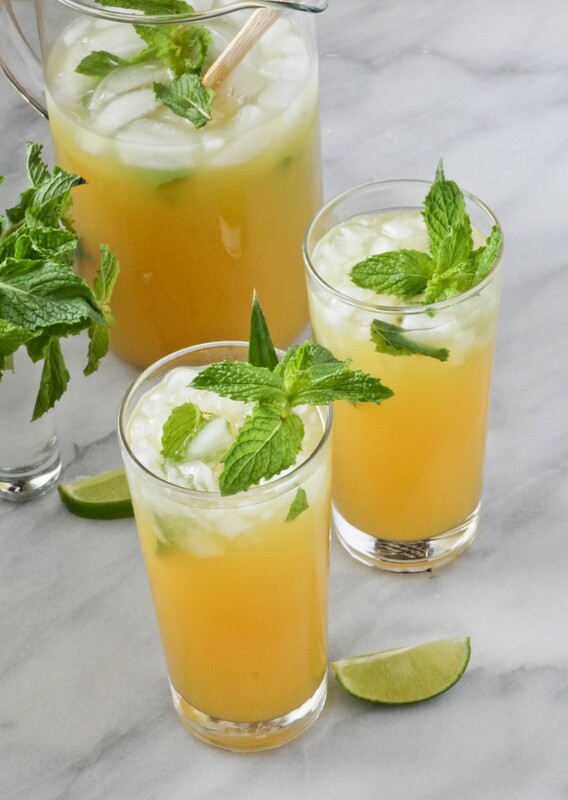 The combination of the pineapple, lime and mint is as refreshing as it gets and is always a loved by everyone. Do you have any go-to entertaining recipes? Mix pineapple juice, lime juice and sugar and stir until the sugar dissolves. Top with mint and moscato/chardonnay blend and let chill before serving.